David was born at Milton on 29 February 1892 (a leap year baby), the son of David & Jennie Leeden. On 8 February 1897, he was admitted to the East Taieri School. From 19 July 1909 to 28 February 1911 David served with the Dunedin Cycle & Signalling Corps, from 1 March 1911 to 12 February 1913 with 2 Division Signal Company, and from 13 February 1913 to 15 October 1914, with the 2nd South Canterbury Regiment. When he enlisted for war service at Timaru on 13 August 1914, he was working as a grain salesman for Guiness & Co at Waimate. He was described as being Anglican, single, aged 22, 5 foot 8 ½ inches tall, weighing 168 lbs, 36 inch chest, of dark complexion, brown eyes, dark brown hair and having false upper and good lower teeth. His mother, Mrs J. Leeden, Gordon Road, Mosgiel, later of 19 Lees Street Dunedin, was given as his next of kin. 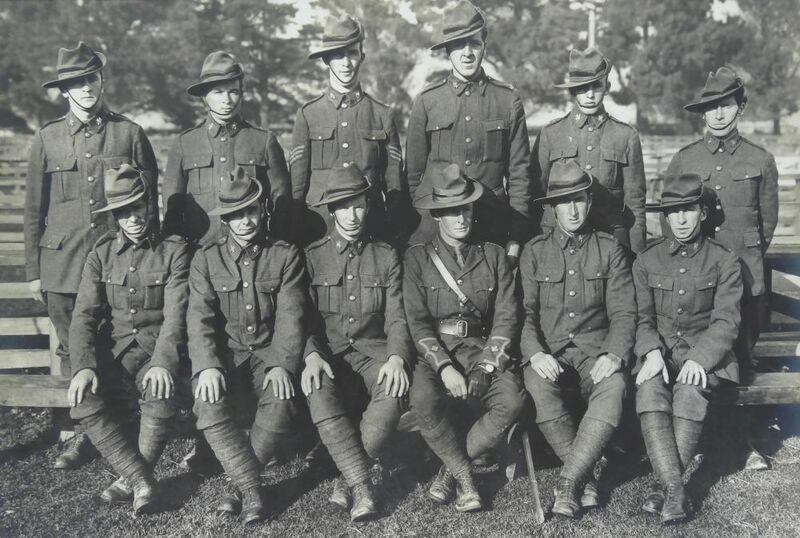 David served in the Canterbury Infantry Brigade, 2nd Company, 3rd Battalion, and embarked as a Lance Corporal with the Main Body for Suez, Egypt, on 16 October 1914, on SS Tahiti or Athenic. After Egyptian service, he served on Gallipoli where, on 16 August 1915, he received shrapnel wounds to his hand and shock, and was admitted to 1 Australian General Hospital, Cairo. Later he saw service on the Western Front where he was promoted to Sergeant. In late 1916 he was sent to England where, on 21 January 1917, he was commissioned as a second Lieutenant. After further active service in France and training roles in England, he returned to NZ on SS Tofua November 1918. Discharged from the army on 18 January 1919, he remained on the Officers Reserve list and, on 1 October 1920, was posted as a Lieutenant to No 47 Senior Cadet Company, Waimate. On 16 September 1921, he was transferred to the retired list of officers. David received the 1914-1915 Star, British War Medal and Victory Medals for his war service and, in February 1920, received the Long and Efficient Service Medal for 12 years Territorial service. In 1928, David was working at No 6 Camp Public Works Department as a labourer, 1935 he was at TePuke employed as a storeman and, in 1943, he married Marion Nicholson Raley. David spent the rest of his life in Hamilton where he worked as a clerk, and died there on 15 March 1978, aged 86. He is buried in the Hamilton Park Cemetery.